Dreadlocks, commonly referred to as "locs" or "dreads," are worn as both a fashion statement and for spiritual reasons. According to Inspired Locs, Rastafarians in Jamaica view dreadlocks as a symbol of African identity and as a way to set them apart from society. Dreadlock styles include short twists or thick, rope-like strands. Contrary to popular belief, dreadlocks must be washed, sometimes as often as every week, but they should not be re-twisted more than once every three to four weeks. 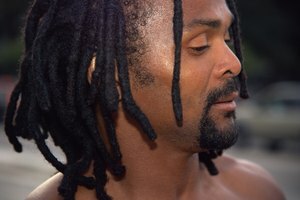 Dreadlocks come in several different styles, but the two most common are free form and cultivated. Free-form dreadlocks grow naturally without you having to manipulate them in any way. To create free form dreadlocks, wash your hair, dry it in a circular manner, then separate the hair clusters according to the size dreadlocks that you want, without using a comb. In time, the hair will form into dreadlocks. Cultivated dreadlocks require you to separate sections of your hair and then twist them into the style you want. You can use single twists, double twists or braids. Part of dreadlocks maintenance is re-twisting your hair periodically to keep the locks tight. You have to be careful not to twist your dreadlocks too often, or you risk damaging your hair. Frequent twisting tends to thin and break the strands of your hair, so you should only re-twist your dreadlocks every four weeks. As your hair grows and matures, the frequency of re-twisting grows less as your hair thickens into the locs. Because everyone's hair reacts differently, you should consult with a loctitian, a hairstylist who specializes in grooming and treating dreadlocks, during the early stages of your dreadlocks to determine whether your hair needs to be re-twisted more or less frequently than every month. When you first begin the dreadlock process, your hair progresses through stages as the locs grow, mature and eventually harden. The time period to achieve fully locked hair varies from person to person. Some people's hair locks in a few months, while for others, it may take a couple of years. The typical stages for dreadlocks are: baby or starter locs, teenage locs and mature locs. Starter locks are freshly done and will not look very different from braids or normal twists. 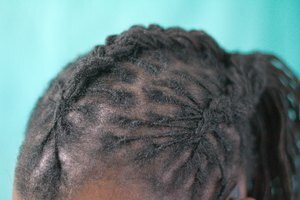 Teenage locs begin to harden and are fuzzy and often very messy. 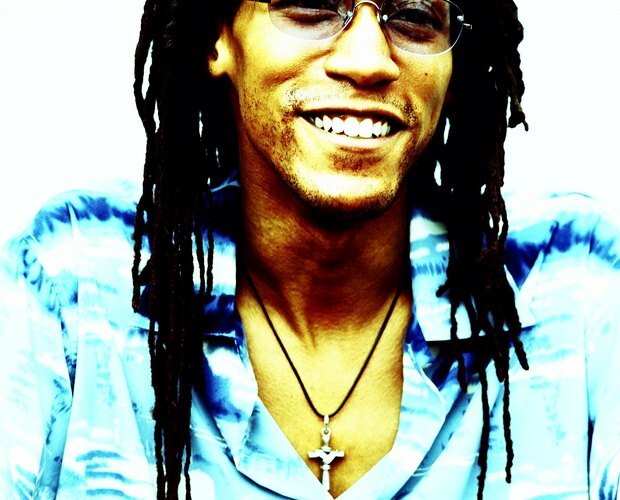 Mature locs are thick and long, fully locked and lay down on your scalp. The stage of your dreadlocks will be a determining factor in how often you have to re-twist. As you transition between teenage and mature locks, you may find that you need to re-twist much less than in the baby locs stage. 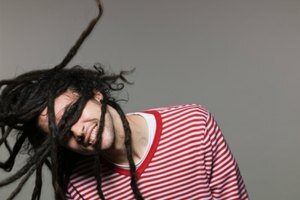 In addition to re-twisting, other procedures keep your dreadlocks in good condition. In general, hair that isn't fully locked should be washed about once a week or once every two weeks. Use a natural shampoo without conditioner and ensure it is made with coconut or tea tree oil. Chemically treated shampoos can damage the roots of your hair and prevent your locks from growing. Gently wash your dreadlocks, and massage your scalp to get into the roots. You should also use specially made oils and wax to moisten your dreadlocks and prevent the roots from drying.